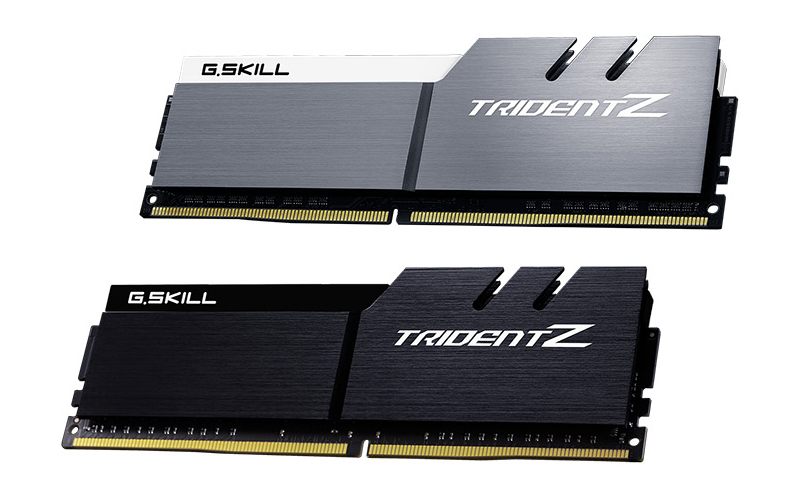 G.Skill has announced another high-speed DDR4 memory kit for Intel’s X299 platform. The new memory modules are rated for up to 4,600MHz, and it joins other speedy DDR4-4200 and DDR4-4400 kits over the past few months. The new Trident Z memory sticks feature hand-selected Samsung 8Gb B-die memory ICs and support for Intel XMP 2.0, where the cherry picking likely plays a key role in hitting these high memory frequencies. However, unlike the DDR4-4800 kits revealed at Computex 2017 with CL 19-19-19-39 timings, the DDR4-4600 modules have looser timings and higher voltages, running at 19-23-23-43 and 1.5V. That’s a significant increase over DDR4’s default voltage of 1.2V, so G.Skill is one of the first to use such a high voltage to achieve these speeds. It is available in a 16GB (2x8GB) kit, and is intended for dual-channel memory operation with Intel’s Kaby Lake-X processors. That said, you'll almost certainly require a quality motherboard to maintain these speeds. You can get it in two different color schemes – silver aluminum body with a white accent bar or black aluminum body with a black accent bar. The new Trident Z memory is scheduled for release at the end of September via G.Skill’s authorized distribution partners, but there’s no word on price yet.